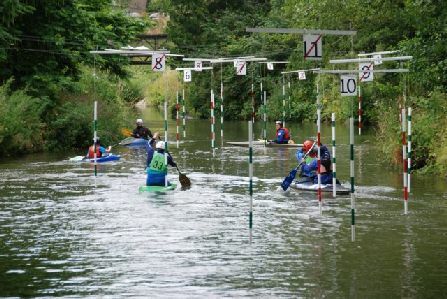 This is a flat water Division 4, 12 gate short course, and is an ideal introduction to slalom. 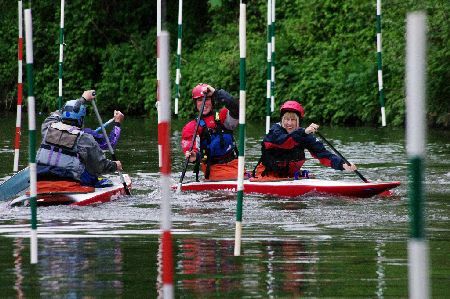 Racing is held on the River Frome right next to the clubhouse with changing rooms and showers. Light refreshments (drinks and cakes) are available during the day in the clubhouse. The clubhouse is a short walk to town centre shops. There is free parking (Sundays) in the car park. The clubhouse is in the centre of Frome next to the Cheese & Grain. From Market Place / North Parade turn in to Bridge Street and into the large car park. Drive to the far end and to the right. Note the post code will take you to the Library on the other side of the car park.